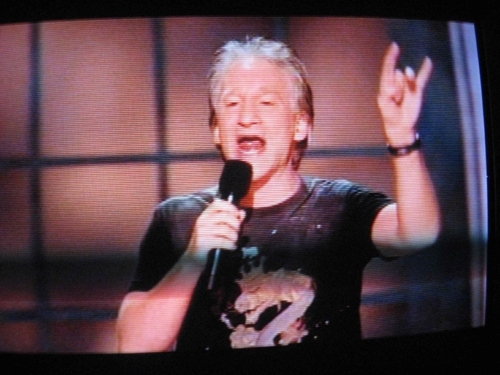 Bill Maher Flashes Satanic Hand Sign During HBO Comedy Special (August 27, 2007) Hillary was pumping hands among a crowd of supporters when an Hispanic man flashed the Satanic sign to Hillary and Hillary flashed it right back to him. Brice Taylor turned to me and said: "Did you see that!". 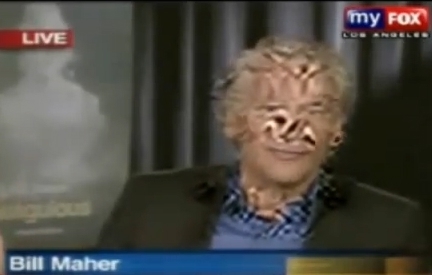 We were both amazed that Hillary would actually flash him back when she knew that she was being filmed.